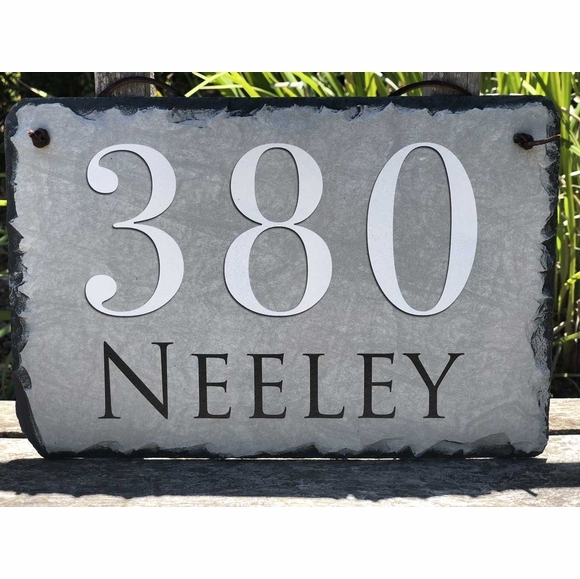 Decorative Slate Address Plaque - - includes house number, street name, and your choice of decorative accents. Five decorative accents (or none) are shown in small images. Line 1 with address number holds up to six (6) digits. Line 2 with street name also holds up to thirty (30) characters. Colors: gray with white, black, or mixed wording. Address number in large image above: 380 NEELEY.